Those responsible for handling the arrangement of a deceased family member or friend will have numerous funeral options to choose from. Making these arrangements while mourning a death can be hard. The final choices may be based on religion, culture, desires outlined by deceased, budget or other similar factors. Donation is an option available. This involves giving the whole or parts of the body over to a medical school or teaching hospital as a gift. Sometimes the receiving facility covers the cost of transport, embalming and the cremated ashes can be sent back to the family. People often do this option to benefit medical science and research. 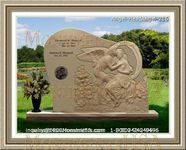 Direct cremation and cremation can also be done. The former involves the body being taken directly from place of death to crematory. Memorial services are held later in these cases. Regular cremation follows a viewing and formal funeral. Fees for this will vary and there are many choices when it comes to handling the ashes afterward. Direct burial is a common choice for many cultures. In this case, the body is taken from place of death directly to a cemetery and buried in a basic container. A service of memorial might be held at a later date, if wanted. 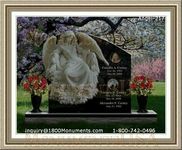 Outside of donation and cremation, this is the most affordable option that is offered by nearly all funeral homes. There are a lot of things that should be considered while planning. Always follow requests outlined by the deceased, when possible. It is highly encouraged that people plan their arrangements while still alive to take off some of the responsibility and stress from family and friends. Try to keep focus on a budget with planning. 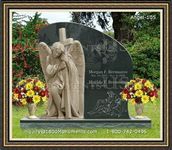 Funeral options can quickly become costly. Handling body, transporting body, casket purchases, cremation services, all of these things cost money. Still, it does not have to be overly expensive to make these arrangements. Do research to get informed.